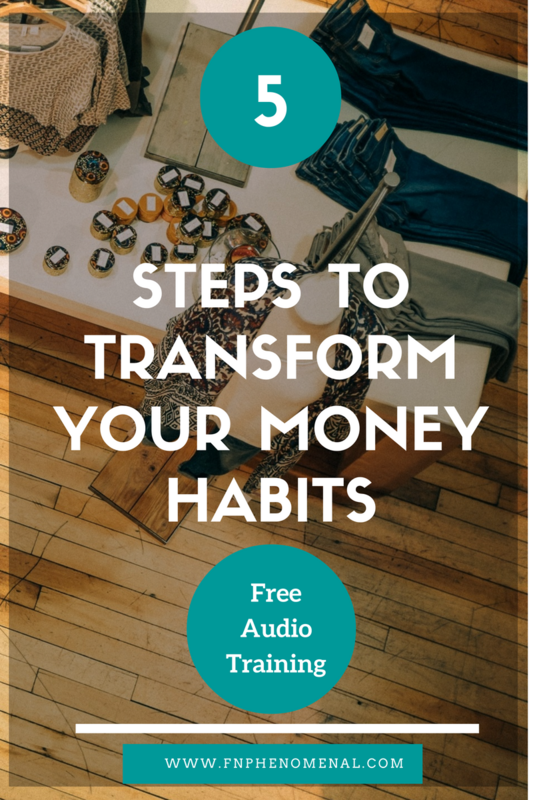 In this free 5-Day Audio series you will learn 5 key steps that will help you to change how you think about money and start to put together a plan to make better spending decisions. Sign up below to get your 5 lessons. Get access to the 5 audios and join the FNPhenomenal newsletter where you will get amazing tips and tools to change your financial habits. Success! Now check your email for your first lesson!